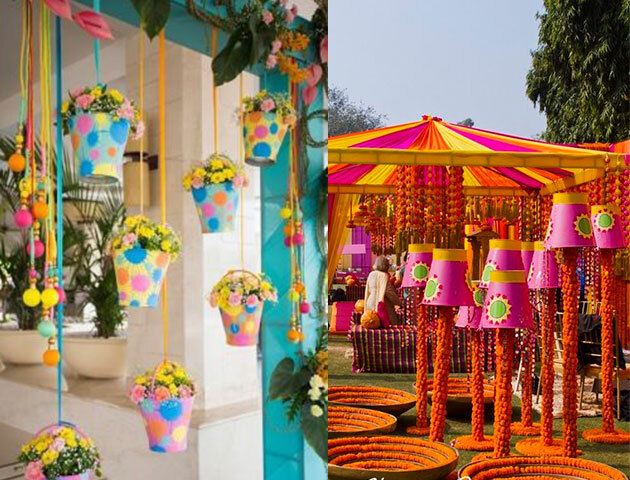 For all you Brides who are worried if they should have a lavish or a small scale Mehndi party, worry not you can save on those extra bucks by DIYing your own Mehndi Decor. 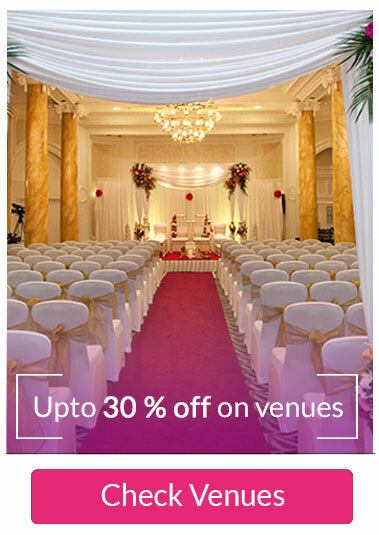 You won’t even have to search through millions of images for inspiration for you decor ideas because BookEventZ has done that research for you. Here’s an opportunity for you to spend some stress-busting time with your friends in the middle of the hustle and bustle of the wedding preparations by doing some arts and crafts. 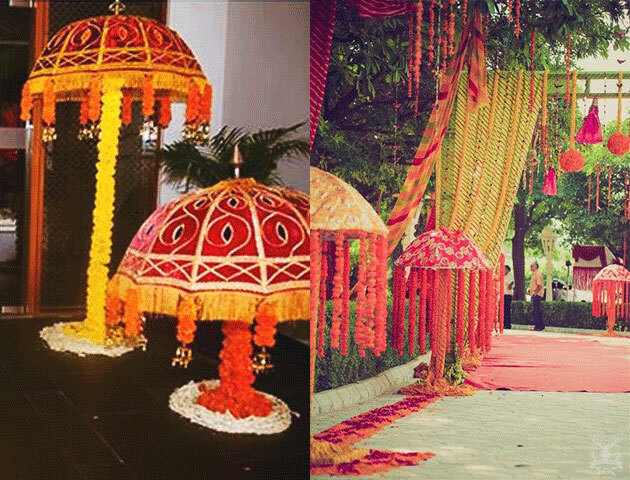 We’re sure that this will bring a special personal touch to the decoration for Mehndi. 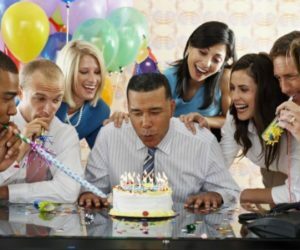 Although if DIYing is not your forte, you’ll find the best decorators at BookEventZ. 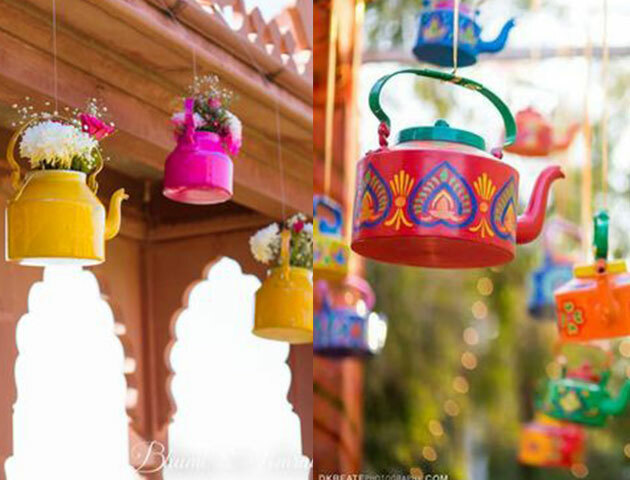 Here’s a list of some easy yet beautiful Mehndi Decor Ideas.. Check the video for our favorite 10!! 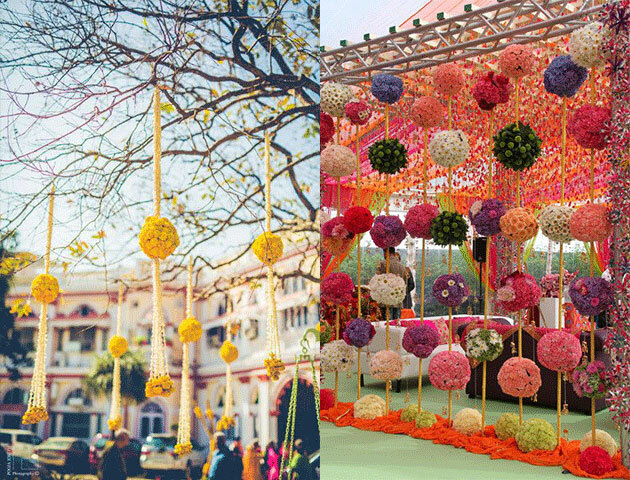 Flowers decorated in this form look absolutely beautiful if suspended from a hight or kept in a vase. To DIY this all you have to do is grab hold of some floral foam and shape it as a ball n then insert the flowers to form these balls of flowers. Who said glasses are used only for a drink. These mini tea glasses filled with candles or flowers make for a cute statement wall that will be perfect for photo shoots. Like this? Click to see More!! 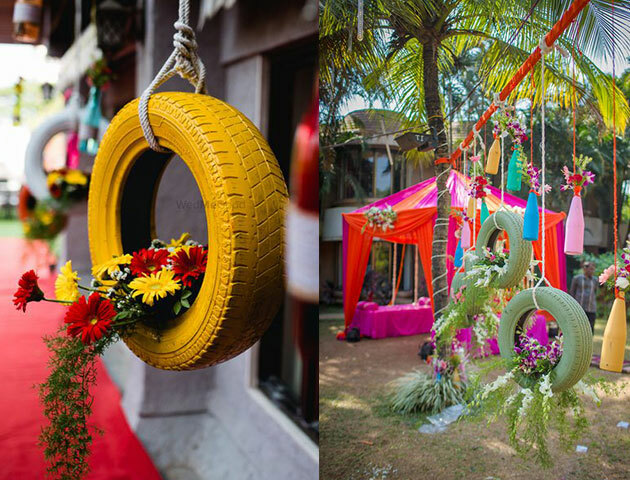 Who thought a simple tire can bring so much beauty to your venue. Just painting it in a bright color and adding some decor like flowers into it can bring so much life to your location. Can Umbrellas filled with flowers ever go wrong? We think not. 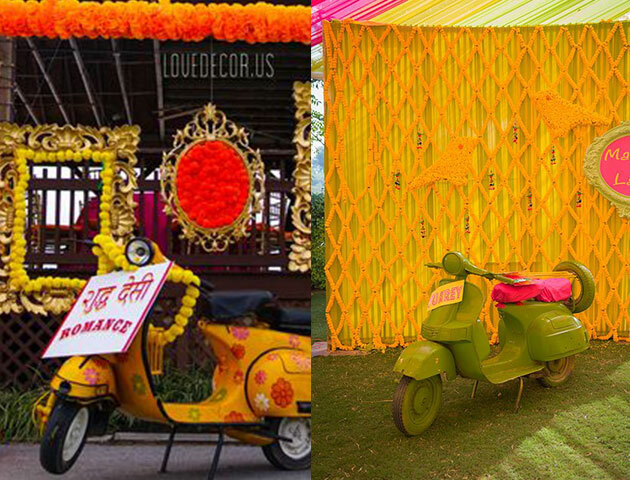 These creative structures make for a beautiful entrance decor for the Mehndi Function. Brushen up your origami skills by hanging these little masterpieces with a twin. 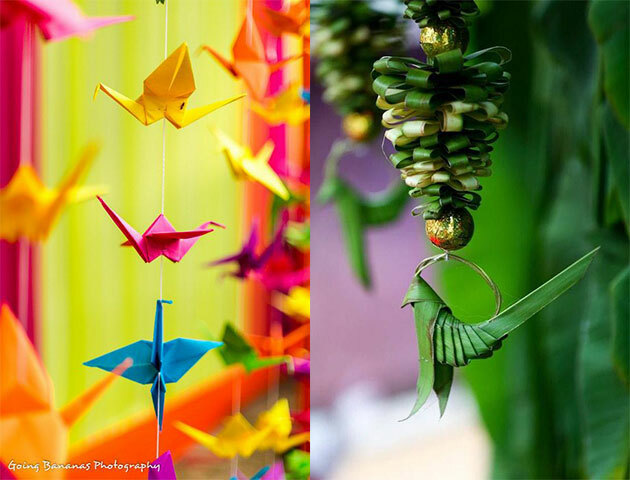 You can also make origami with a banana leaf for a touch of tradition. 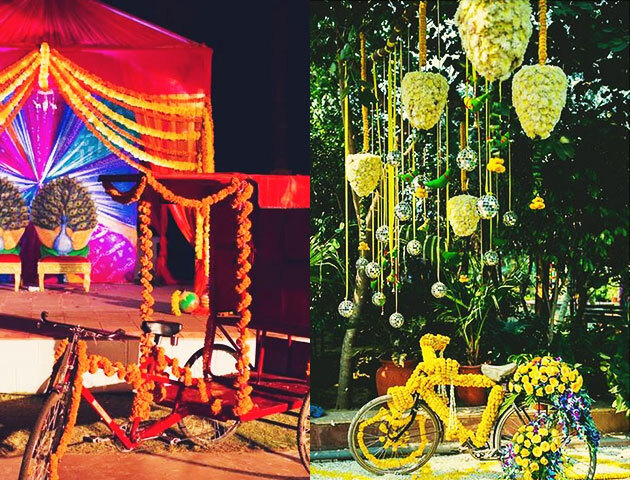 Just a few flowers can turn your cycle into the only seat everyone at your wedding wants to sit on. You can also use this cycle to enter the venue in style. 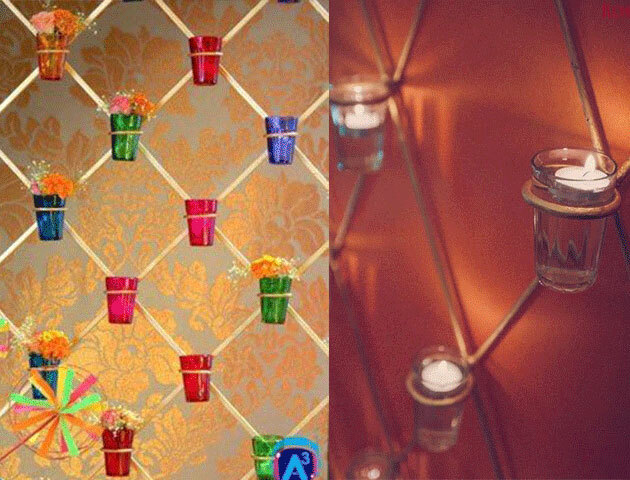 You can use Photo frames as a hanging decor for your Mehndi Function. Color them with a theme of your choice or if you don’t have that, you can never go wrong with gold. 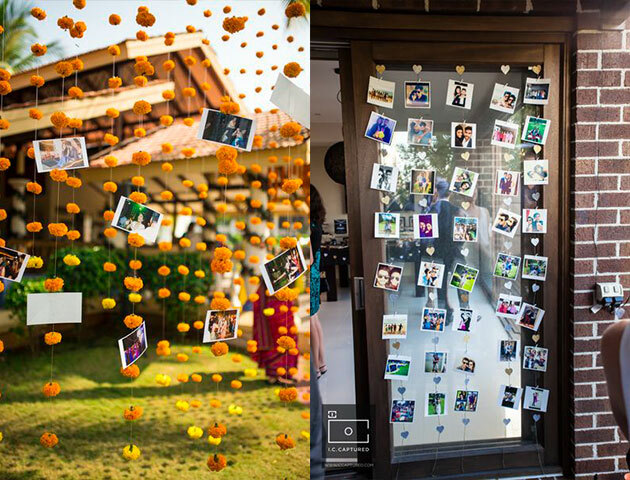 Is there a better way to add a personal touch to you Mehndi function other than hanging photos of the couple? Well no there’s not. 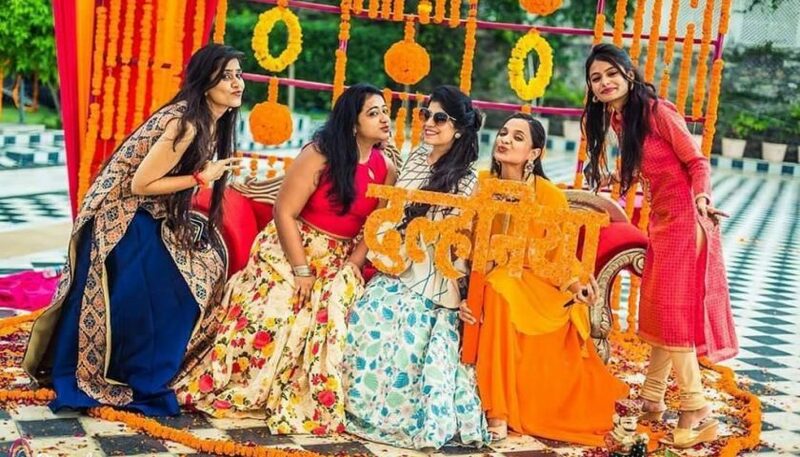 If not this, then a better idea would be to click polaroid pictures during the function and ask your guest to write a message behind them. Recycle these old bottles into something beautiful. 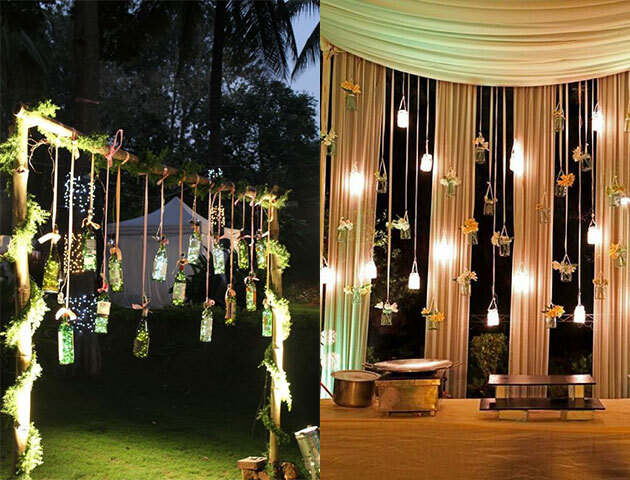 With just a small candle or some fairy lights put into them, these bottles look absolutely beautiful for an evening Mehndi. 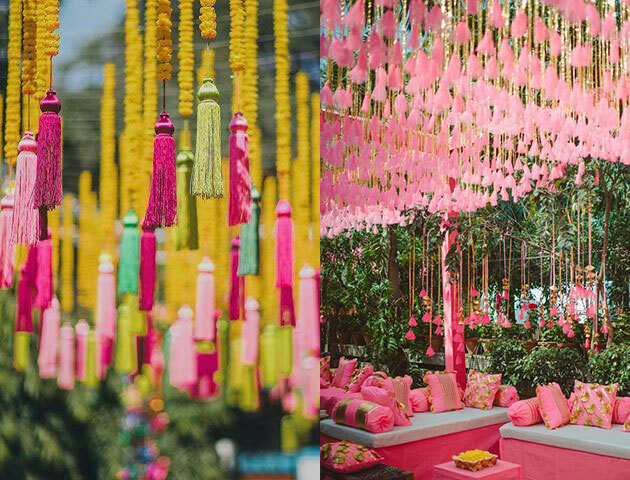 These pops of color in the sky make the entire venue look vibrant and fun. 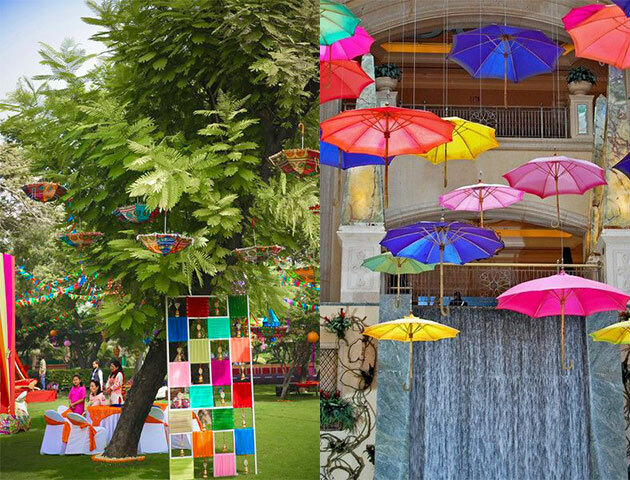 Just suspend these umbrellas from the ceiling and instantly it will bring lovely shadows of color on the ground. 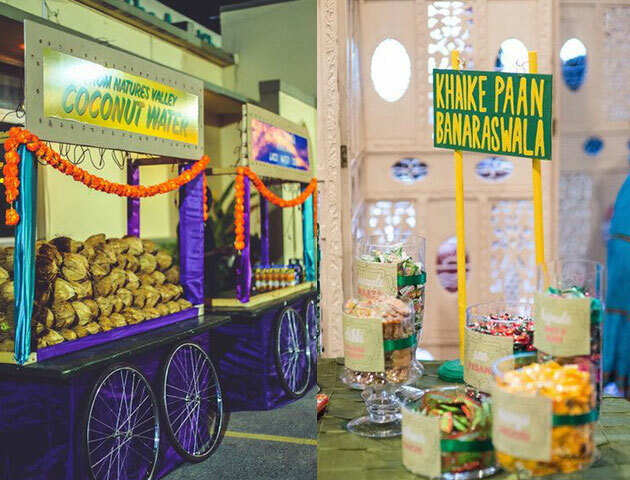 A DIY Mehndi function should also have a DIY food station. This self-help station is perfect for the appetizers served at the event. Use these buckets as a statement piece by filling them with flowers or coloring them in bold colors. 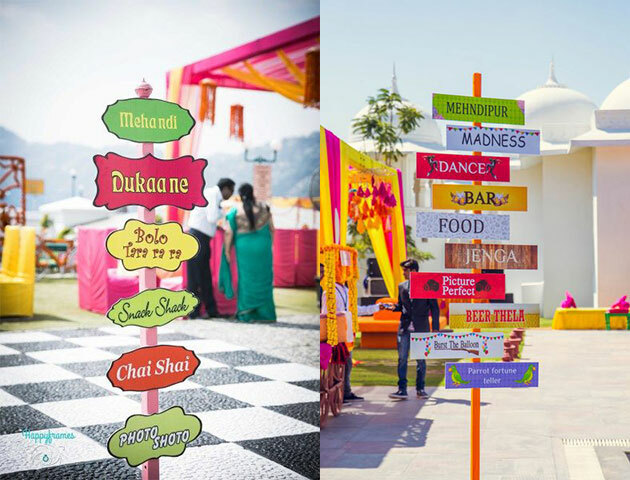 Make a direction board for all your guest if you have many counters or a huge venue. 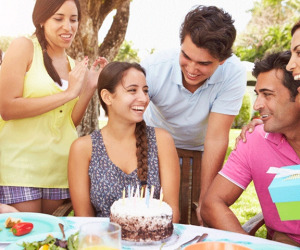 You can personalize it by getting creative with what they say. We love the way these parandas sway in the wind. 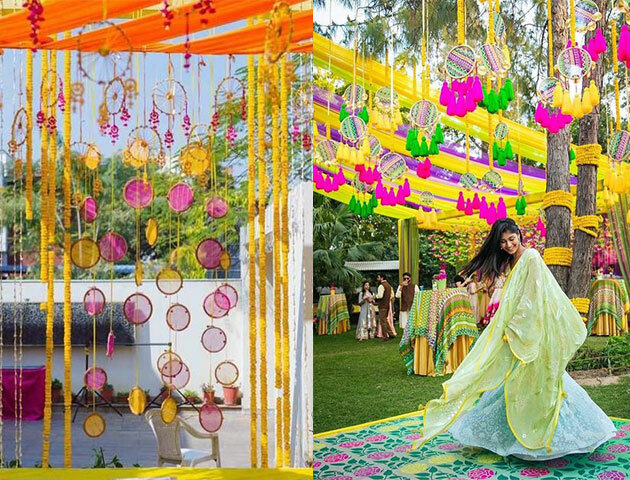 These parandas make a love decore piece for an open mehndi function. 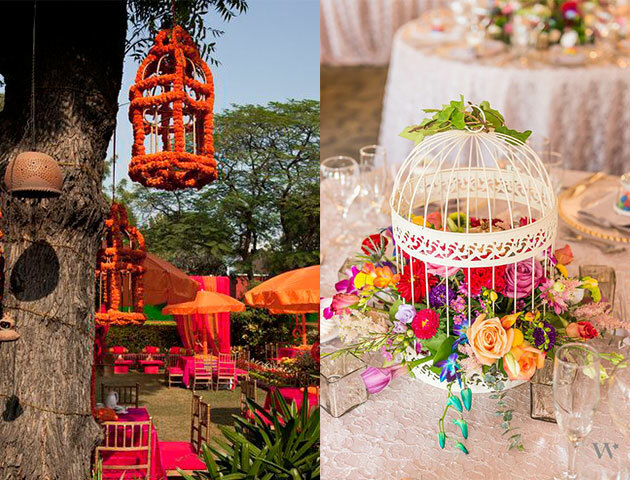 Decorate these cages with flowers or lights for a delicate touch to the event. 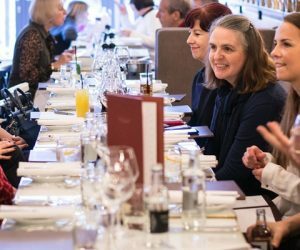 These cages can either be hanged or set on every table. 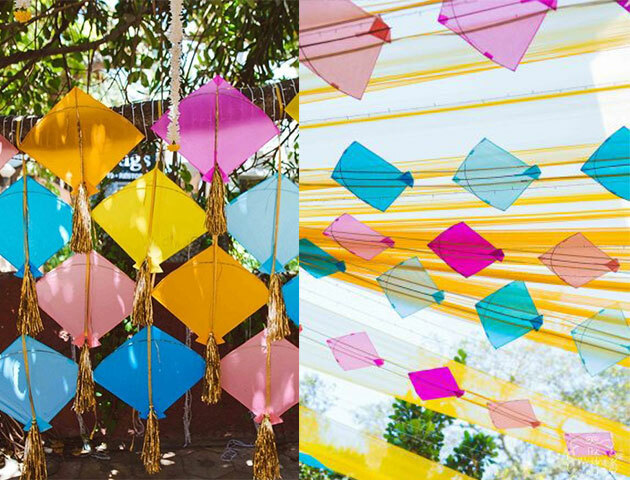 These kites bring a beautiful color to the venue by just hanging them as a statement wall or on the ceiling. 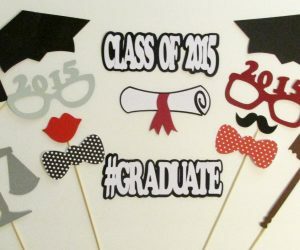 If you’re planning an outdoor function then suspend these kites and let them sway in the wind. Got dads old scooter lying in the garage? 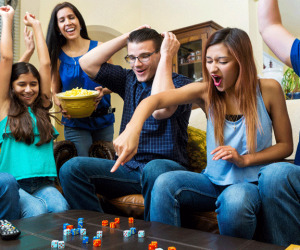 Why not give it some life with some bold colors. 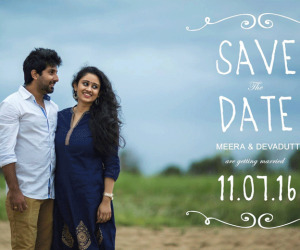 This can be a perfect backdrop for a photo boot. 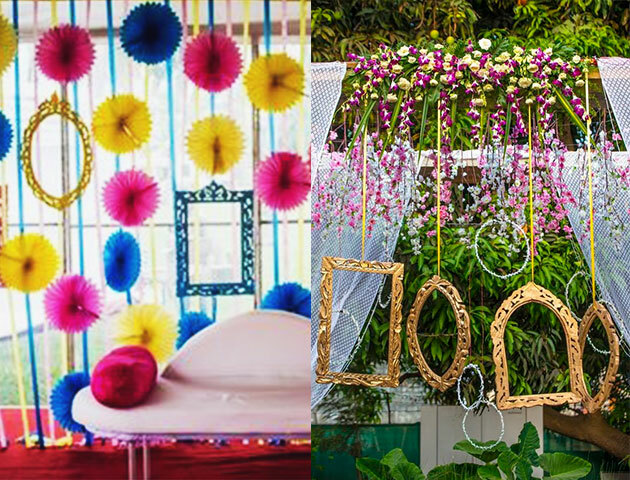 If your one of those brides who love dream catchers, you can suspend these beautiful Dreamcatchers from the ceiling. All you need to make them is some thick twin and a hoop. You can use these Tea Post as a decor piece by coloring them in plain bold colors or painting a pattern on them. 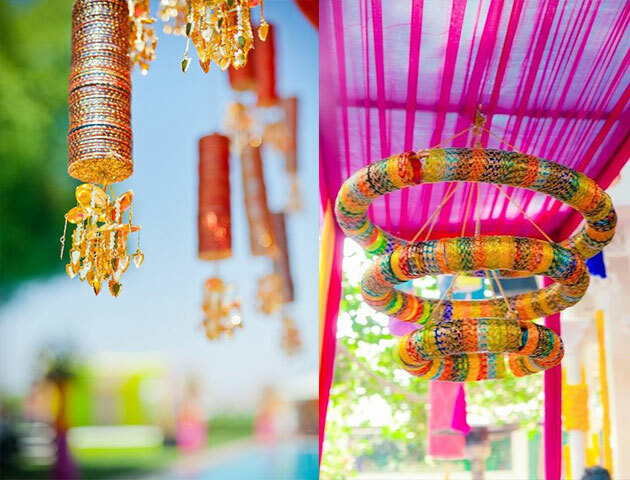 You can use bangles for the decor by hanging them from the ceiling or stacking them on branches. You can also hang kalires on them for an additional statement. 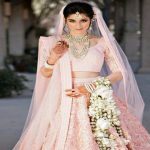 You can now Bring in you pre-wedding Functions in style by using these above ideas for your Mehndi . If you need any more assistance with the decor, BookEventZ is always here to help. 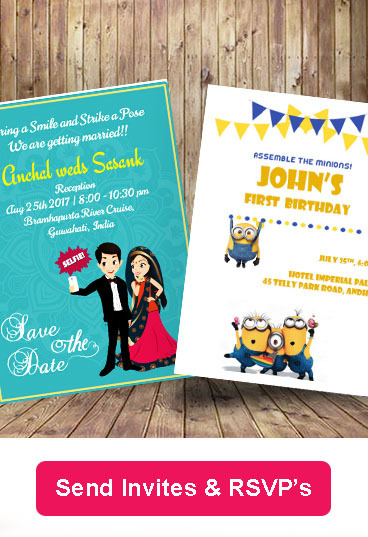 Andrea was the former Content Marketing Associate at BookEventz and is currently based in Mumbai. 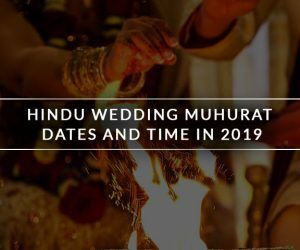 When she's not looking for the latest trends in the world of weddings and birthday parties, she's busy being a book nerd, full-time glutton, and planning which movie to watch next. THIS DECORATION IS FANTASTICLY DONE WITHE THE DIFFERENT RAW MATERIAL AND FLOWER TIRES AND MANY MORE. 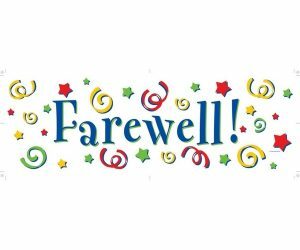 THANK YOU FOR AMAZING BLOG.